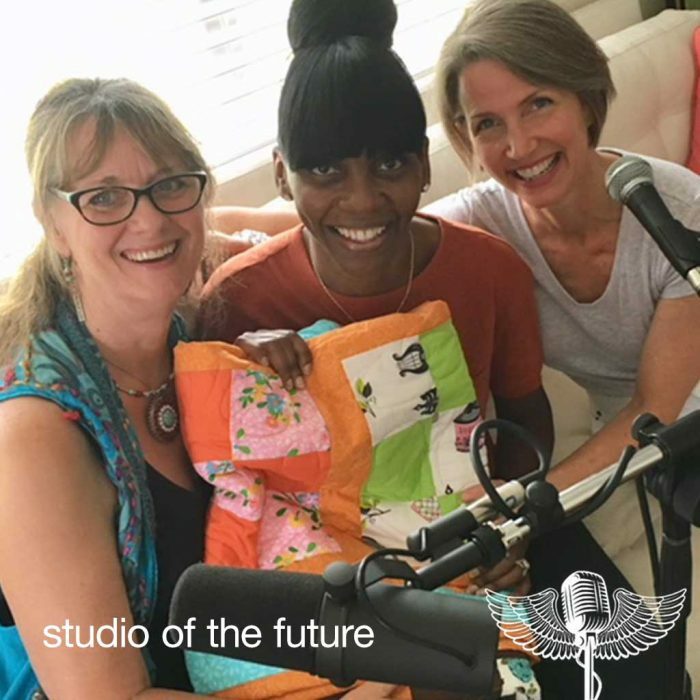 Pictured: Carol Waid, one of the three original founders of TBT; Lisa Davis-Bell, a former incarcerated woman and Katie Ford, the executive director of TBT; with host Sara Hickman. 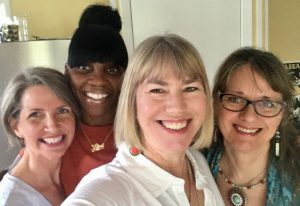 Truth Be Told is an Austin nonprofit which offers programs designed by women for incarcerated women. Through personal storytelling, writing and healing arts, TBT helps women to break free from the imprisoning cycle of past trauma and abuse. These various programs also reduce stigma and re-entry barriers for formerly incarcerated women. One of the unique programs includes inviting outside women from the arts community — dancers, poets musicians — to perform inside the prisons. By treating incarcerated women as unique and valuable human beings, these women begin to value themselves and gain the courage and tenacity to make better choices in their lives. 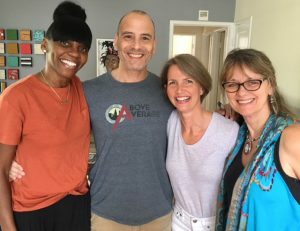 Pictured: Carol, Lisa, and Katie with SOTF co-founder and engineer Marty Lester.